Denny Jump (Bellevue, WA, United States) on 13 September 2018 in Plant & Nature. 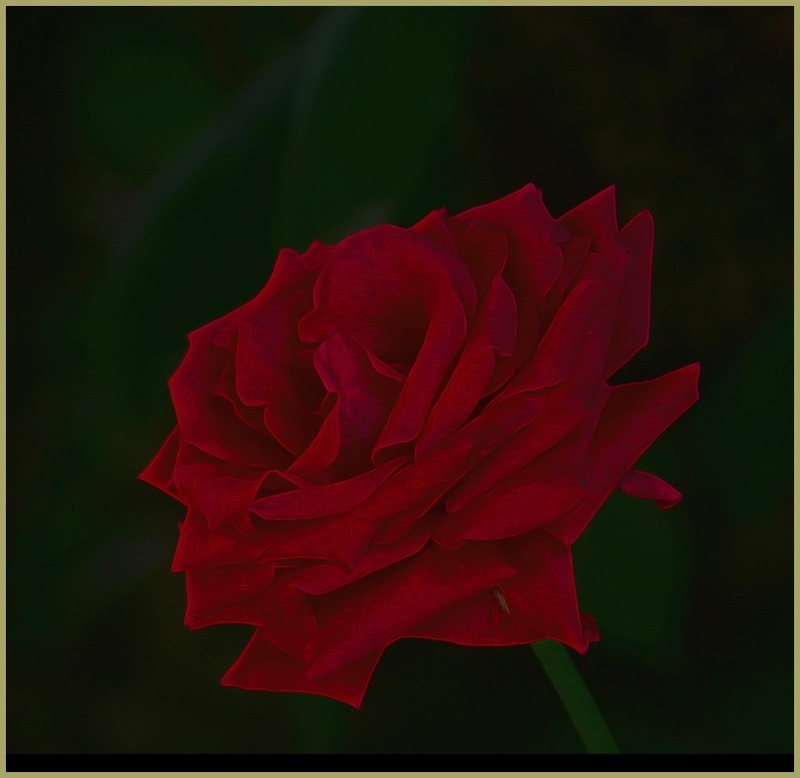 This is a rose from our backyard garden that I photographed one evening when it was starting to get dark..... Later, I processed it in Topaz and used some of their "Painterly" presets.....I would love to hear your opinion. Fantastic processing Dennis. I like the understated, low key presentation.